Deal alert: a refurbished Pixel XL for $210! 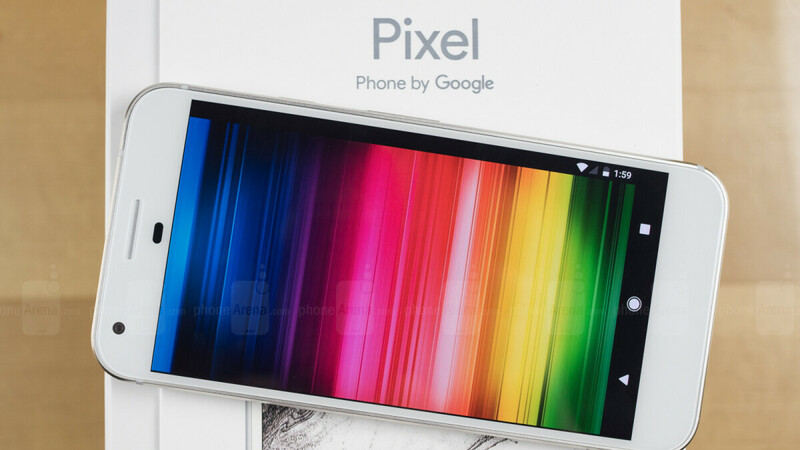 And yes, we are raising that point because we just found a deal on the original Google Pixel XL — that's the larger, "phablet" model. Over at eBay, you can have one of these marvels in a refurbished state for $209.95. That's $20 below the cheapest refurbished offer we can find at the moment. And sure, it's not ideal to buy a pre-used phone with some scuffs and scratches on it, but if $210 is all you have, you can be sure that the Google Pixel XL will beat any midranger you can afford, then run laps around the crater it just created. The OG Pixel XL is powered by a Snapdragon 821 processor and 4 GB of RAM, which run the stock Android insanely fast. You also get instant beta access to Android P and will get the final build when it's out. That'll be the last major Android build to visit the original Pixels, but you will still get monthly security patches for yet another year after that. Also — it still has a headphone jack. "Network Locked" to Verizon. Boo. For only $200, this definitely is a better buy than that new Nokia phone due to the better specs and camera found on the Pixel. This is a killer deal. Not true. I've bought multiple things off ebay and never had a problem. That's why PayPal exists and eBay also has their own buyer protection guarantee. I hate the fact that you just see a stock image of the phone in the listing. You have to scour the description and gamble on what you'll actually receive. Especially the big sellers. They can't lie about what you'll be getting in the description or they'll get in trouble and you'll get your money back and plenty of sellers use the actual photos of the device you'll be buying, for example thegizmotrader http://stores.ebay.com/TheGizmoTrader/_i.html?rt=nc&_nkw=pixel+xl&_sid=29361287&_sticky=1&_trksid=p4634.c0.m14&_sop=15&_sc=1 their cheapest offerings are beat to hell but the $279 and up aren't bad. You have to do the research & dig deeper than just thinking a "deal alert" like this is a smart buy on eBay if you expect perfection or the exact setup you want. Hunt around, look at the seller reviews, figure out what all the lingo of refurb conditions mean. Look at return policies & warranties, etc. I did my thorough homework and spent a lot more $$ to get a "mint" refurb unlocked Very Silver 128GB XL that looks like it did in 2016 or early 2017. The average XL cost is between $200+ and ~$270. I paid $349, incl shipping. Worth it, IMO. You get what you pay for. The screen has 0 (zero) scratches. I found 1 small nick on the top edge of the frame/bezel, a tiny, tiny pinhole blemish on the back corner. That's it. So far it's working flawlessly, the battery charged up quickly & is holding its charge very well. So far so good. It'll work on GSM & CDMA networks. Now my phone isn't tied to Verizon or a subpar MVNO. Tomorrow I'm bringing it into the Verizon store so they can put in a nanoSIM. My Galaxy S4's microSIM won't do it for the Pixel. After 5 years of nursing it along, 16GB is just too small, even with a 32 GB microSD (most apps won't let you transfer to the card). Later I'll shop around for the best cell plan deal.